Elkhart Lake, Wisconsin – May 29, 2018 – The Midwest Automotive Media Association (MAMA) held its annual Spring Rally last week at Road America – one of the world’s premier road racing tracks. 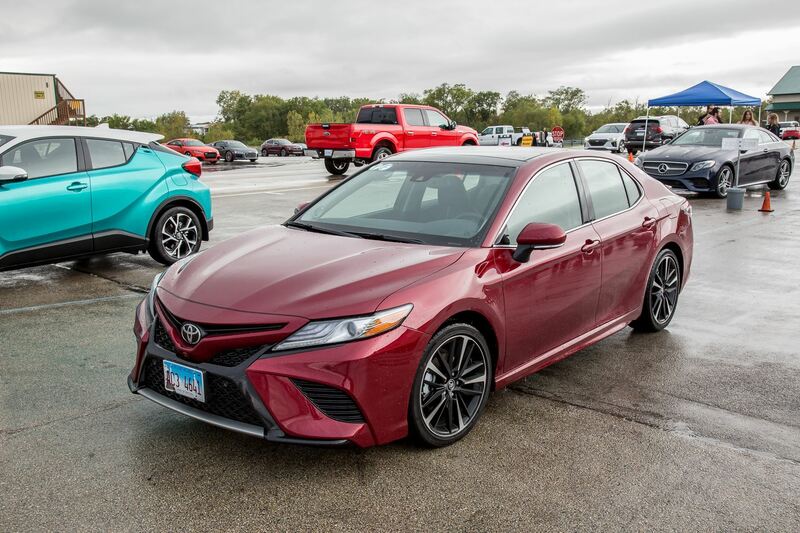 Over the course of two days, more than 80 media members from across the country had the opportunity to put more than 90 vehicles through their paces in a variety of driving opportunities, including on-track, street, off-road and autocross. Automakers selected the MAMA Spring Rally to showcase their latest cars, trucks and SUVs, and a few even gave the assembled MAMA journalists in-depth presentations on the hottest new or soon-to-be-released vehicles in their lineups. 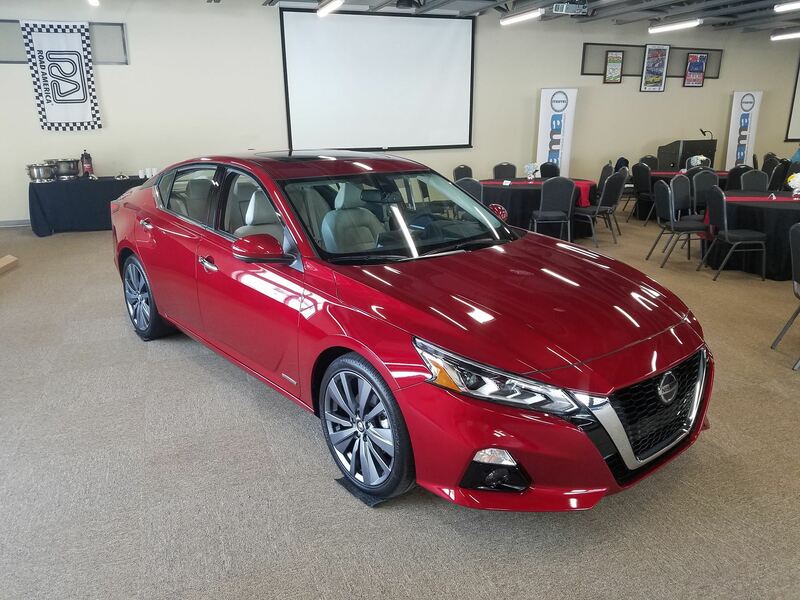 Nissan kicked off the MAMA Spring Rally with a breakfast presentation featuring the official unveiling of the Altima Edition ONE, a limited-production launch edition of the all-new 2019 Nissan Altima sedan. The presentation marked the first time the sixth-generation Altima has been seen outside of an auto show. The Edition ONE features exclusive 19-inch dark gray aluminum-alloy wheels, rear spoiler, external ground lighting, illuminated kick plates and Edition ONE badging and floormats. In addition, buyers have access to the new Edition ONE Nissan Concierge, an exclusive premium service that features 24/7 live assistant access (dinner reservations, event ticket purchases, etc.) that can be reached in-vehicle or through a compatible smartphone, smartwatch or smart speaker apps. The service is no-charge for the first three years of Edition ONE ownership. Nissan announced that reservations open June 15th for the Altima Edition ONE and other 2019 Altima models, all of which are slated to go on sale this fall. The redesigned 2019 Ram 1500 is lighter, more aerodynamic, more spacious, and more fuel-efficient than the previous-generation model, and MAMA members got a detailed overview of this groundbreaking new full-size pickup—as well as on-road and off-road driving opportunities. 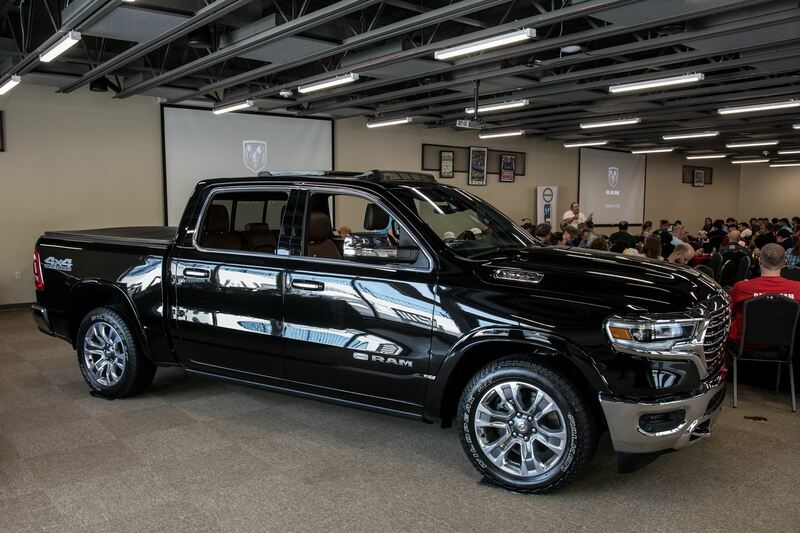 Highlights of the all-new Ram include an overall weight reduction of 225 pounds, towing capacity of up to 12,750 pounds, and an available UConnect 4C infotainment system with a massive 12-inch touchscreen. 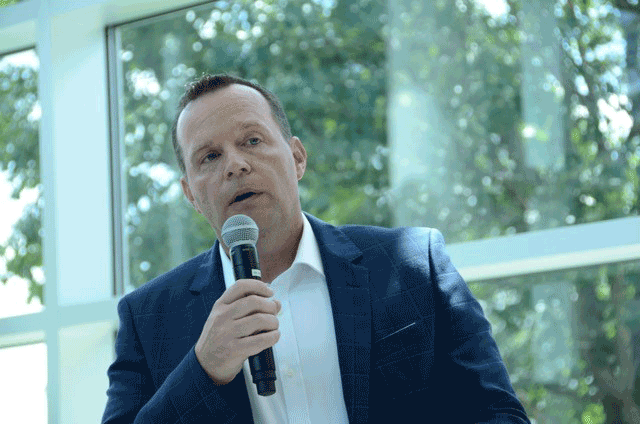 “As we introduce the new 2019 Ram 1500, we were thrilled to give more than 80 journalists the opportunity to experience the no-compromise truck that is changing the way truck buyers view strength, efficiency, capability, technology and luxury,” said Jim Morrison, Head of Ram Brand – FCA North America. Hemi-powered Ram 1500 Quad Cabs and Crew Cabs are in dealerships now, with a starting price of $31,695 plus $1,645 destination fee; regular-cab and mild-hybrid “eTorque” models are due later this year. MAMA Spring Rally attendees were among the first journalists to drive the all-new, third-generation RDX. Acura’s popular compact SUV is redesigned for 2019, gaining an A-Spec performance model, a more spacious cabin, an innovative “True Touchpad” remote-interface infotainment system, and all-new turbocharged 2.0-liter 4-cylinder engine that puts out 272 horsepower. 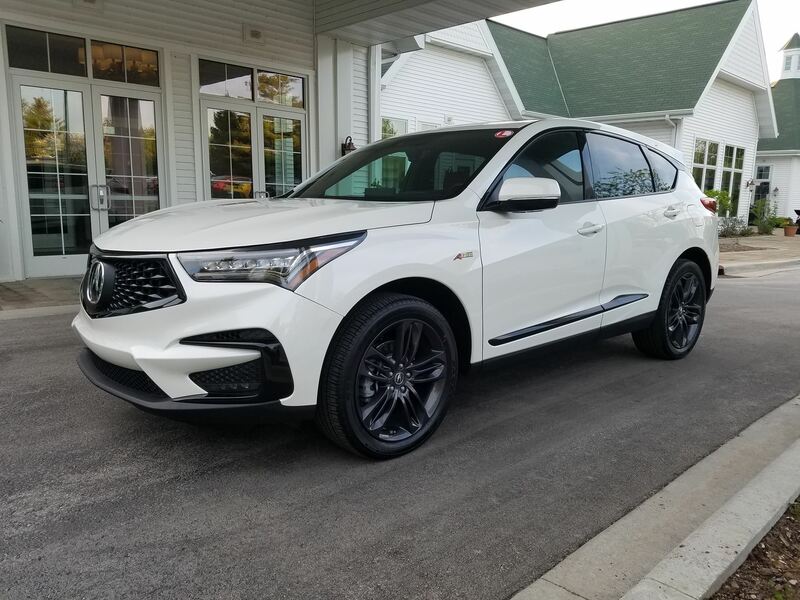 Designed, developed, and manufactured in America, the 2019 Acura RDX is slated to arrive in dealerships this summer. Volkswagen opened the second day of the MAMA Spring Rally with a breakfast highlighting its redesigned Jetta compact sedan, which was also on-hand for journalist test drives at the event. 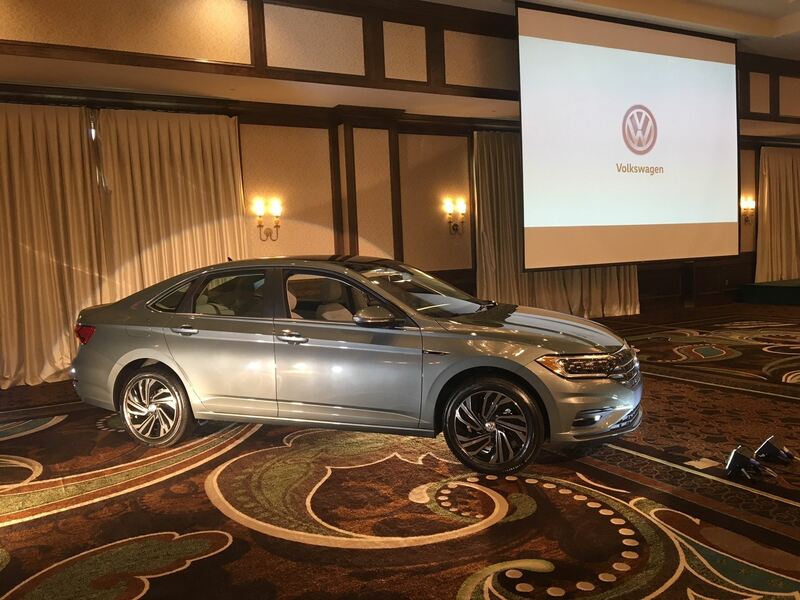 Based off Volkswagen’s award-winning MQB architecture, the 2019 Jetta dons a new sophisticated coupe-like exterior design, offers impressive interior space, competitive fuel economy and upscale technology features, from available automatic cruise control to available 10-color ambient lighting. The 2019 Volkswagen Jetta is arriving in dealerships now, with a starting price of $18,545. Hyundai helped close the two-day MAMA event with a presentation on its new entry into the subcompact crossover market. The 2018 Kona offers eye-catching “urban smart armor” exterior styling, a choice of a 147-hp 2.0-liter 4-cylinder or a 175-hp turbocharged 1.6 four, and a host of available advanced safety features. 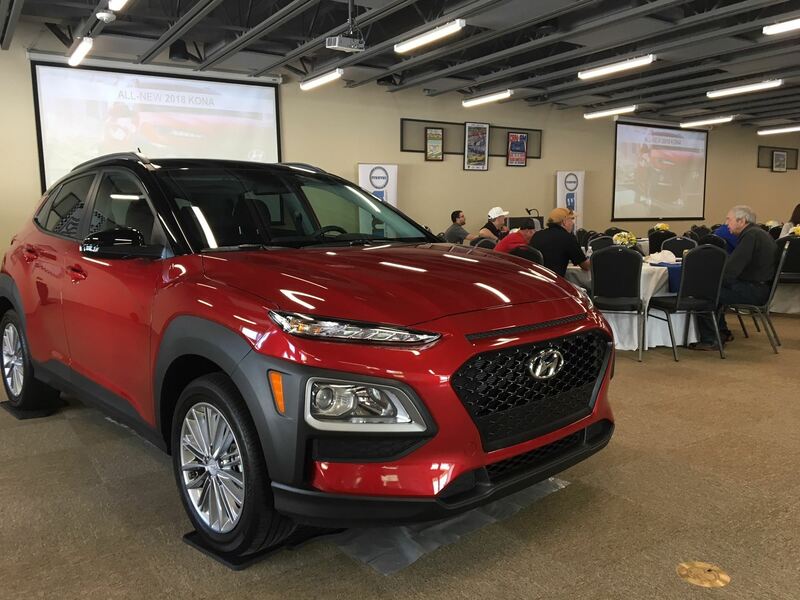 “Hyundai Motor America was pleased to showcase the all-new Kona at the MAMA Spring Rally. A crossover for ‘Urban Adventurers,’ the new CUV offers youthful design, sporty driving character, leading safety technology and advanced infotainment features in an affordable, compact footprint, appealing to consumers with active lifestyles and adventure-oriented driving environments,” said Michele Tinson, Midwest Communications, HMA. The 2018 Hyundai Kona is on sale now, with a starting price of $19,500; the pure-electric 2019 Hyundai Kona Electric is slated to join the lineup late this year in select states. These vehicles will join another round of finalists that will be chosen at the 2018 MAMA Fall Rally this October. A final round of online voting will determine the two winners, which will be announced at the MAMA Breakfast that opens the 2019 Chicago Auto Show Media Preview. 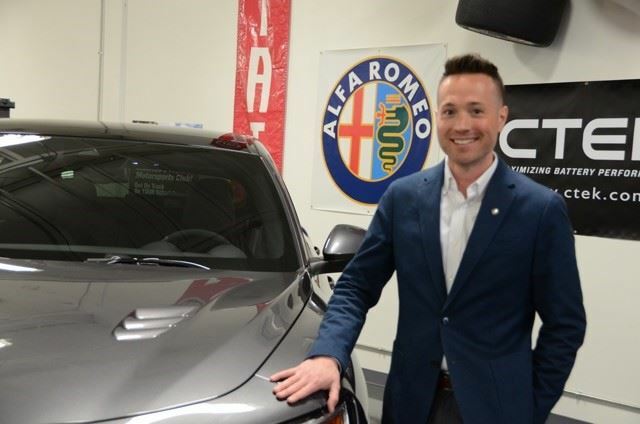 Chicago, Illinois (April 25, 2017)- Alfa Romeo hosted MAMA members at the Collectors’ Car Garage in Chicago on Wednesday, April 25, to showcase the brand’s newest Italian offering – the all-new 2018 Alfa Romeo Stelvio Quadrifoglio. The Stelvio Quadrifoglio provides a distinctive offering in the premium midsize SUV segment. With its world-class performance, state-of-the-art technologies, seductive Italian style and an exhilarating driving experience, this all-new turbocharged SUV will definitely turn heads. Since its foundation in Milan, Italy, in 1910, Alfa Romeo has designed and crafted some of the most stylish and exclusive cars in automotive history. 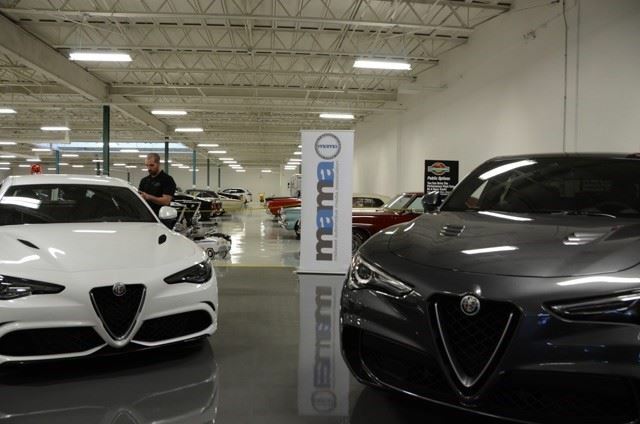 Alfa’s current offerings in the U.S. include the 4c Coupe and Spider (a small two-door race-inspired sports car), and the Giulia, a premium four-door sedan. Born from the legendary driving road in the Italian Alps – the Stelvio Pass – the all-new Stelvio sets a new benchmark in performance, style and technology.The iconic hand-painted Quadrifoglio, which is a four-leaf clover badge, is symbolic of legendary Alfa Romeo race cars and high-performance production vehicles. Ben Lyon, Head of Alfa Romeo Product Brand Marketing, had the opportunity to talk to MAMA members and guests on how the Stelvio Quadrifoglio continues to highlight Alfa Romeo’s performance expertise with best-in-class 505 horsepower and segment-leading V-6 torque, powering it from 0-60 mph in an estimated 3.9 seconds with a top speed of 176 mph. In addition to best-in-class horsepower, the Stelvio Quadrifoglio features segment-leading V-6 torque (443 lb.-ft.) and the most horsepower per liter in its class. The innovative Q4 all-wheel-drive (AWD) system – standard on all Stelvio models, including the Quadrifoglio - provides additional driving confidence and superior control. The Stelvio Quadrifoglio – which went on sale in early 2018 – currently holds the Nürburgring record for the fastest production SUV with a lap time of 7 minutes and 51.7 seconds. The Stelvio sat alongside the Alfa Romeo Giulia Quadrifoglio and a handful of classic vintage Alfa Romeos at the Collectors’ Car Garage, a purpose built, climate controlled 60,000 sq. 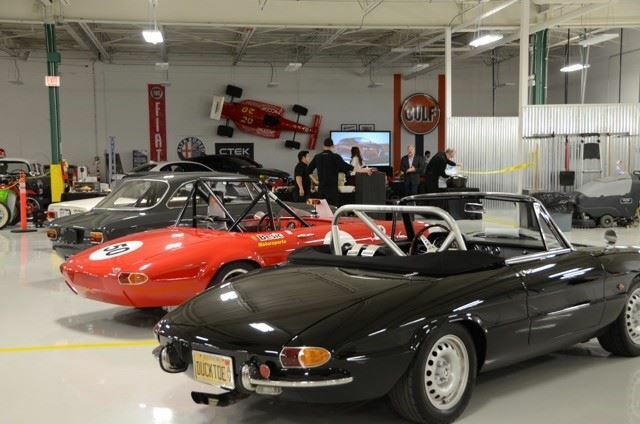 ft. storage facility dedicated to the preservation and storage of more than 300 collector cars and motorcycles. The Stelvio Quadrifoglio is built at the Cassino plant in Italy and is available in Alfa Romeo dealerships now.The Manufacturer’s Suggested Retail Price (MSRP) is $79,995. Chicago, Illinois (Feb. 8, 2018) – The Midwest Automotive Media Association (MAMA) announced today at the Chicago Auto Show that the 2018 Honda Odyssey has been named the winner of its eighth annual Family Vehicle of the Year award. MAMA is a nonprofit group of automotive journalists and public relations professionals, and it developed the award to help car-shopping families make a wise decision when they’re ready for a new vehicle. “Choosing a family vehicle is an important decision. It should be versatile, reliable, efficient, and reasonably priced. MAMA members pooled their expertise and experience to select the best family vehicle from an outstanding group of new and significantly refreshed models, and the Honda Odyssey came out on top,” said award coordinator Tim Healey. To qualify for the award, vehicles had to have four doors, start at less than $50,000, appear at one of MAMA’s two annual rallies, and be new or significantly updated within a year of the 2017 Spring Rally, which took place last May. The MAMA Spring and Fall Rallies feature roughly 100 manufacturer vehicles for journalists to drive and evaluate. Voting took place at both rallies, and out of more than three dozen competitors, MAMA ended up with 12 finalists: Alfa Romeo Giulia, Alfa Romeo Stelvio, Chevrolet Bolt EV, Chevrolet Equinox, Chevrolet Traverse, Honda Accord, Honda Odyssey, Mazda CX-5, Toyota Camry, Volkswagen Atlas, Volkswagen Tiguan, and Volvo XC60. MAMA members then voted in one final round, and 94 automotive journalists selected the 2018 Honda Odyssey as the winner with 85 points, narrowly edging out the 2018 Volvo XC60, which garnered 84 points. The 2018 Volkswagen Atlas placed third with 72 points. Voting for the 2019 Family Vehicle of the Year award will begin at the 2018 MAMA Spring Rally, which is scheduled for May 23-24 at Road America in Elkhart Lake, Wisconsin. The MAMA Fall Rally is tentatively scheduled for October 3 at the Autobahn Country Club in Joliet, Illinois. New for 2019, MAMA President Jill Ciminillo announced that the association will be adding a Luxury Family Vehicle of the Year Award. 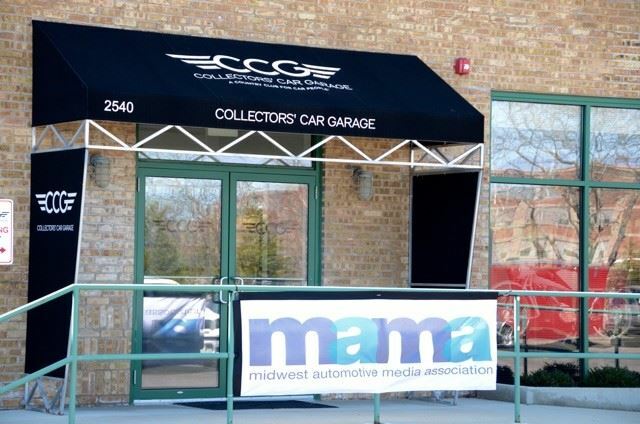 For more information about the Midwest Automotive Media Association, please visit www.mamaonline.org. Founded in 1991, and now in its 27th year, the Midwest Automotive Media Association comprises 269 automotive journalists and public relations professionals from 25 states, D.C. and Canada. Though based in the Chicago area, MAMA welcomes members from all parts of the country. The organization’s primary purpose is to provide a forum for newsworthy people, major issues, and new products in the auto industry. Chicago (Feb. 1, 2018) – The Midwest Automotive Media Association (MAMA) elected its 2018 board of directors during its annual business meeting. Continuing in the second year of their term, Jill Ciminillo remains president, Damon Bell is senior vice president and Matt Avery is vice president of membership. 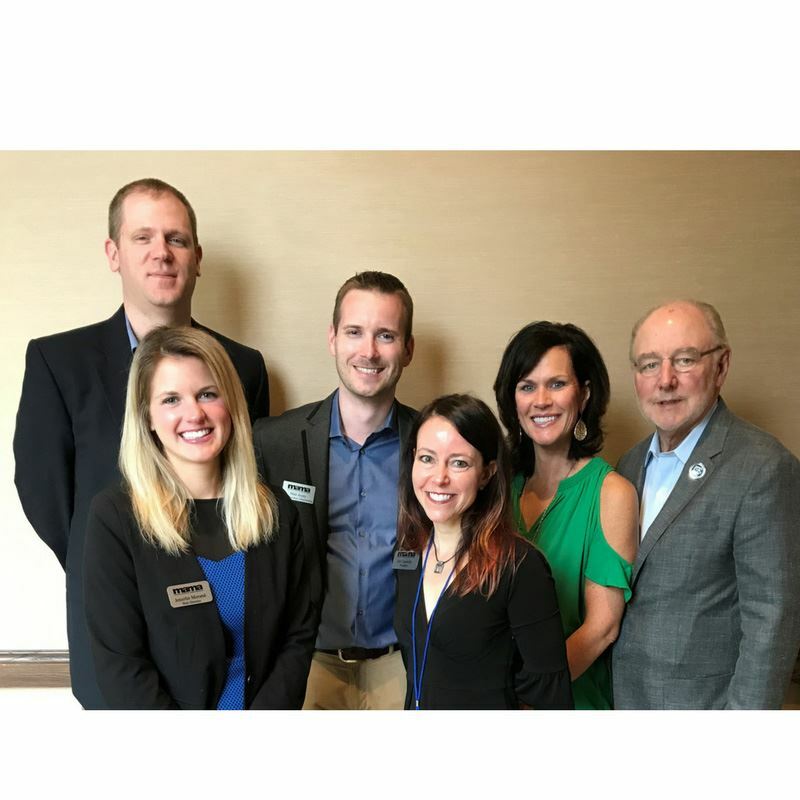 Re-elected for new two-year terms, Larry Nutson is the association’s treasurer, Kelley Enright serves as secretary and Jennifer Morand serves as MAMA’s website and social media director. During the annual MAMA business meeting, it was reported that the association now has 269 members, is financially sound and continues to hold successful events that benefit both its membership as well as auto makers. President Jill Ciminillo announced that MAMA is on target to reach the minimum funding of $100,000 for the Jim Mateja Memorial Scholarship that the association established at Northwestern University Medill School of Journalism. A scholarship will be award to an undergraduate student each year commencing in the fall of 2018. The new generation Accent is slightly longer and wider than the model it replaces, but the EPA still classifies it as a compact sedan. Also on the exterior, the Accent shows off a new cascading grille design inspired by the cascading effect of molten steel. The vehicle has available projector headlights with LED daytime running lights, available fog lights and standard functional air curtains, which help eliminate the turbulence in the wheelhouse area. Available LED taillights give the vehicle a more noticeable presence on the road. Moving to the interior, Evanoff describes the new look as a contemporary intuitive design: easy to reach, easy to see, easy to understand. Also available are push button start and hands-free Smart trunk (the vehicle can sense the driver is near from at least three feet away and the trunk automatically opens). Automatic temperature control is available as well in three stages – low, medium and high. New available infotainment and safety features include dual-charging/USB as well as Android Auto and Apple CarPlay. There’s also integration through Amazon Alexa and Google Home so that owners can make requests to those devices via their car. Hyundai Blue Link connected car system with safety advance alerts the driver of a potential collision; if there is no response, it will apply automatic break to avoid collision. There are three 2018 Accent Trim levels: SE (core entry level), SEL (regular equipped) and Limited (highest equipped). The 2018 Accent is hitting dealerships now with a starting price of $15,880. Joliet, Illinois (Oct. 5) – The Midwest Automotive Media Association (MAMA) held its annual Fall Rally, presented by the Steel Market Development Institute (SMDI), this week at the Autobahn Country Club in Joliet, Illinois. 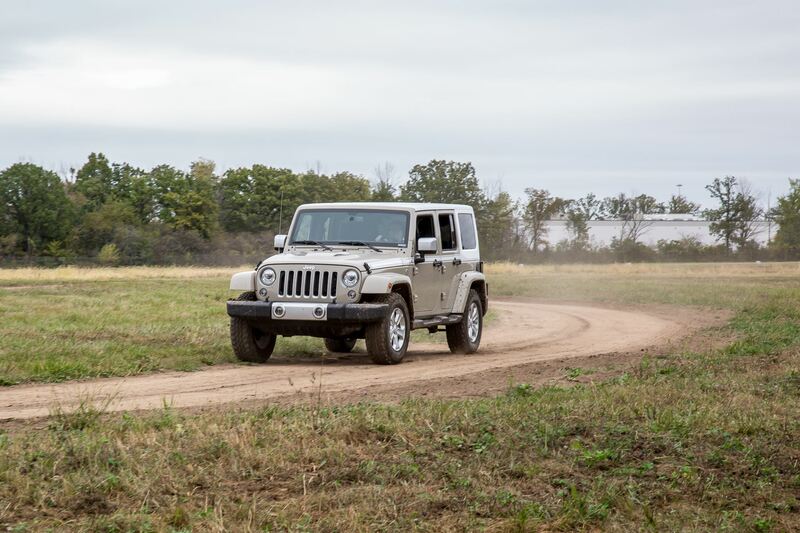 Automakers showcased their latest cars, trucks and SUVs where 75 media members from across the country gathered to put nearly 70 vehicles through their paces on track, street and off-road course. Toyota opened the event with a breakfast presentation featuring its 2018 Camry, America’s best-selling car for 15 consecutive years and a candidate for North American Car of the Year. 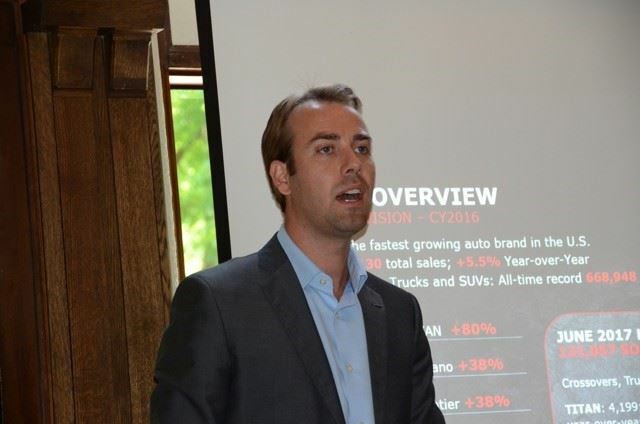 Chad Moore, product training expert at Toyota, led the presentation on the eighth-generation Camry. He explained that it has gone through a total evolution from a proven, dependable and safe car to one that also possesses a more exciting and emotional character, thanks to its newfound sporty performance and eye-catching style. Additionally, the new Camry utilizes Toyota New Global Architecture (TNGA) which represents new strategy to the way the company designs, engineers and packages its vehicles. TNGA retains all of Toyota’s traditional values of superlative build quality and safety while injecting a fun driving experience that plays on all the senses. The physical manifestation is the usage of a new engine, transmission and GA-K platform. Following the morning session featuring track touring laps, street driving and an off-road course sponsored by Jeep, the group gathered for lunch, where Honda led a presentation featuring the Civic Type R. Carl Pulley, assistant public relations manager at Honda, said this all-new Type R continues its legacy as an exciting, front-wheel-drive, high-performance hatchback and is the ultimate expression of the genre. 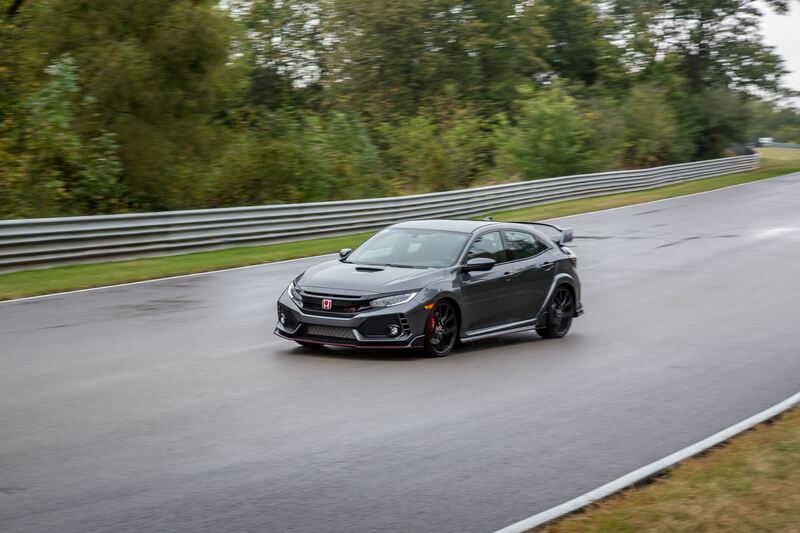 Media members had the chance to test drive one of two Type R vehicles that Honda brought for media members to experience on the track at the Fall Rally. Pulley said everything about the Civic Type R was designed to create the optimum performance driving experience – from the performance-tuned 2.0L i-VTEC DOHC turbocharged engine and six-speed manual transmission to the Type R unique chassis components and three-mode dynamic driving control. This is the most extreme Type R ever built, with track-ready performance providing the most rewarding driving experience in its segment, according to Honda. The MAMA Fall Rally is one of two track events the organization hosts each year. MAMA also hosts monthly meetings for its members; the upcoming event list can be found at www.mamaonline.org. The Midwest Automotive Media Association (MAMA) is a professional non-profit press association, with a 25-year history, that brings together automotive journalists and manufacturers to provide a platform for automakers to release news. MAMA's membership has grown to nearly 300 and includes journalists covering print, broadcast, online as well as media relations professionals within the automotive industry. For more information, visit www.mamaonline.org. 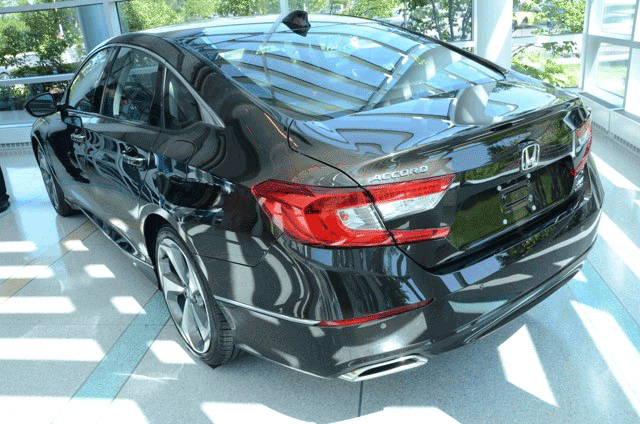 Oakbrook Terrace, Illinois — Midwest Automotive Media Association members were among the first to get a glimpse of the all-new 2018 Honda Accord last week during MAMA’s August meeting and press preview, led by Steve Kinkade, head of national media relations for Honda and Acura brands. 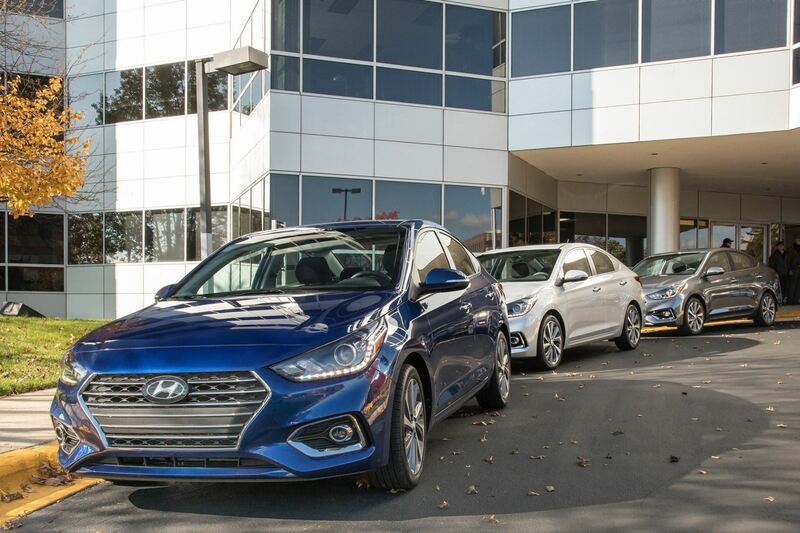 Kinkade stated that, despite the fact that SUVs continue to gain market share, the midsize segment is strong and the sedan isn’t going anywhere anytime soon. According to Kinkade, the current Honda Accord is actually outselling all but two SUVs. In fact, it’s on pace to sell 300,000 units in 2017. In terms of in-segment competition, he believes the 2018 Accord will compete very well against the all-new Toyota Camry. · Aggressive new styling is stately and conservative with a swept-back four-door design that hides a traditional trunk. · Longer wheelbase and a wider body. · Passenger volume increases by 2.5 cubic feet. · Cargo volume also increases to 16.7 cubic feet. · Honda Sensing will be standard on all trim levels, which includes high-tech safety features such as lane departure warning, lane keep assist, road departure mitigation, adaptive cruise control and automatic emergency braking. · V-6 engine will not return; instead, 2.0-liter turbo engine will deliver 252 hp and 273 lb.-ft. of torque. The trim strategy for Accord will remain the same with LX, Sport, EX, EX-L, EX-L Navi and Touring levels. Plus, there will be two engine options: the aforementioned 2.0-liter turbo and a 1.5-liter turbo – both of which are four-cylinders. The 1.5-liter will deliver 192 hp and 192 lb.-ft. of torque. A hybrid will also be available and will be powered by Honda’s third-generation two-motor hybrid technology and a 2.0-liter Atkinson-cycle engine. Combined fuel economy for the current 2.4-liter 4-cylinder engine ranges between 26 mpg for the manual and 30 mpg for the automatic. Neither pricing nor fuel economy details have been released. However, the current-generation Accord starts at $22,455, for reference. 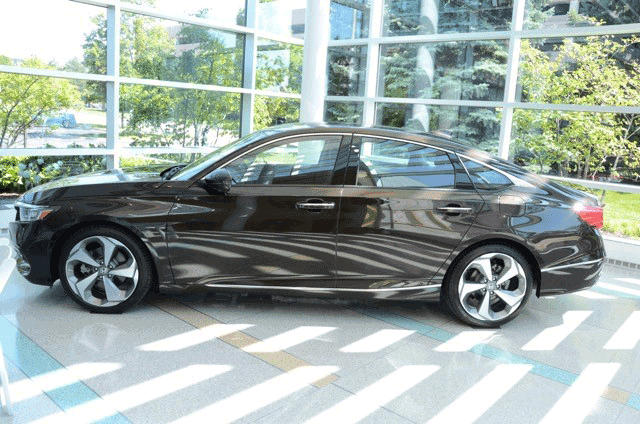 The all-new 2018 Accord is expected to hit dealerships this fall. 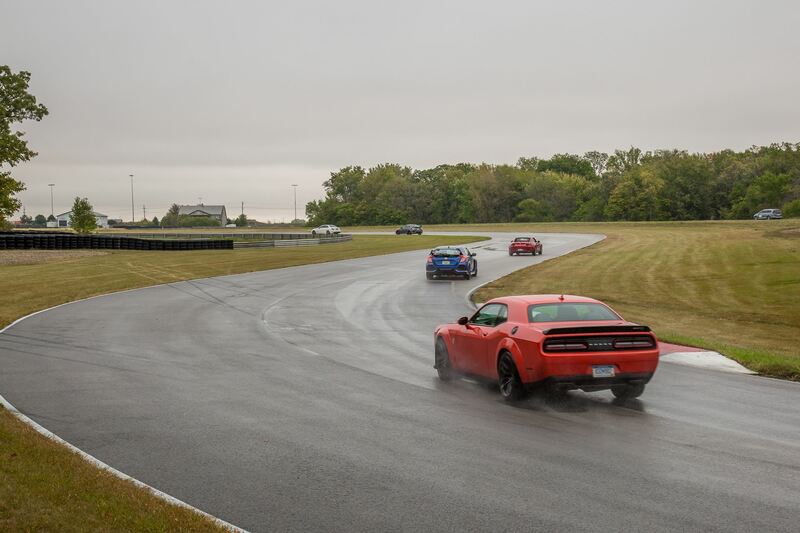 South Haven, Michigan – Last week, MAMA teamed up with Dodge to host the third annual Performance Track School at GingerMan Raceway in South Haven, Michigan, where nearly 20 Midwest-based journalists learned the ins-and-outs of driving safely on a racetrack. Since MAMA hosts two annual track events, the Spring and the Fall Rally, the association deemed a track school essential so that members are educated and comfortable when driving at MAMA-sanctioned events. As far as manufacturer partners go, Dodge is the perfect fit. Not only is Dodge known for its legacy of muscle cars (we never said anything about the track school being boring! ), the automaker also embodies safety. A strong message to MAMA Performance Track School attendees is that while these cars are fast and fun, there is a proper way to drive and handle them on a track. Led by racing experts at CGI Motorsports, the day opened up with breakfast and a “track safety talk” for the morning session. Dodge brought in 11 performance vehicles, including the new 2018 Dodge Durango SRT and 2018 Dodge Challenger SRT Hellcat Widebody. Track school attendees were among the first to drive these new vehicles—which boast 475 and 707 horsepower, respectively—before they hit dealer lots this fall. Both novice and intermediate drivers were paired with driving instructors from CGI Motorsports to learn how to take these high-powered vehicles properly and safely around a racetrack. Following the morning session, the second wave of participants arrived for the afternoon lesson. Just prior to lunch, all participants heard Dodge Durango SRT Engineering Manager Pete Jacobsen explain some of the behind-the-scenes development challenges. Throughout the past three years, MAMA has provided Performance Track School instruction to 63 students. This year marked the first time MAMA has offered more advanced instruction to intermediate track drivers and previous track school attendees. MAMA looks forward to seeing members who attended the Performance Track School put their skills to use at its 2017 Fall Rally, to be held on Wed., Oct. 4 at the Autobahn Country Club in Joliet, Illinois. MAMA members gathered yesterday for the association’s monthly meeting and presentation from Nissan’s Director of Sales and Marketing, light commercial vehicles (LCV), Tiago Castro. He delved into the brand’s 2017 LCV lineup and offered attendees test-drives in the NV Cargo Van and three different Titan models – which have become strong players in the commercial market – including a Titan Single Cab, Titan XD Gas and Titan XD Cummins-powered Diesel. Castro touched on Nissan’s strategy in this segment, which is to focus more heavily on marketing commercial vehicles in hopes to increase the brand’s overall truck sales – both commercial and personal. 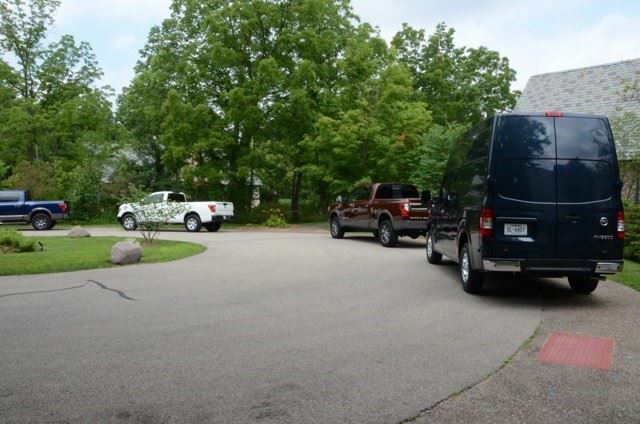 For example, if a Titan or Titan XD is the pickup of choice for a small business owner or construction worker, that person may be more inclined to purchase a different version of the Titan for personal use. 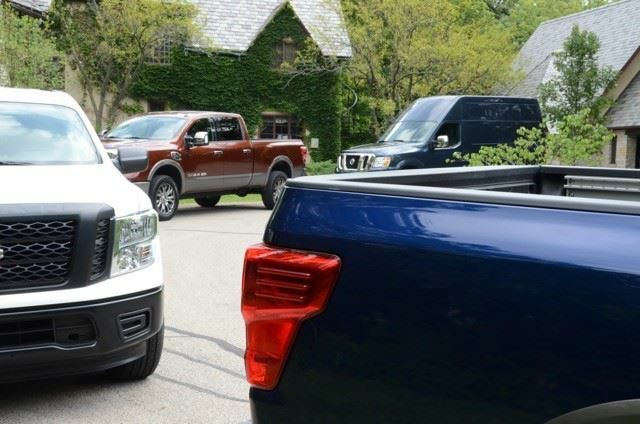 To lure new customers, Nissan is offering a five-year or 100,000-mile (whichever comes first) bumper-to-bumper warranty on all Titan and Titan XD commercial vehicles which, according to Nissan, is America’s best truck and commercial van warranty offer. How does this stack up to the industry standard? The average industry warranty hovers around 36,000 miles. Nissan introduced the final piece of the Titan roll-out with the Titan and Titan XD King Cab during the 2017 Chicago Auto Show. 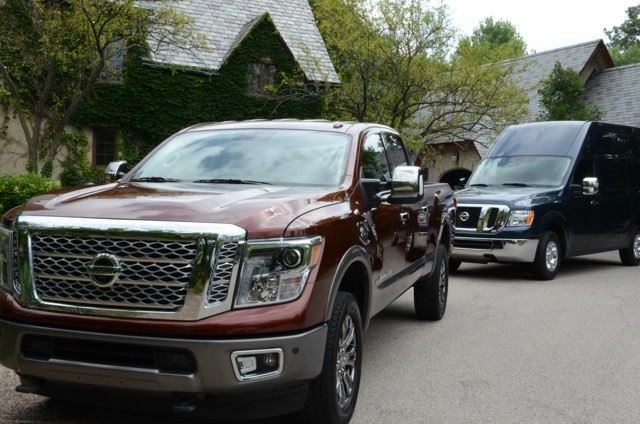 The Titan and Titan XD, which have picked up numerous industry awards and accolades, have helped move the needle for Nissan’s overall truck sales. New for 2017, the NV Cargo Van offers a brand-new powertrain, producing best-in-class horsepower and torque while also delivering an estimated eight percent increase in fuel economy versus the previous powertrain. Offered for both personal and fleet use, the NV Passenger Van features eight standard air bags, standard head restraints and integrated seat belts for all rear seating positions. It also offers 324 different seating configurations and a total of six independent rear seats. 2017 MAMA Spring Rally attendees were able to experience the NV Passenger Van first-hand as they were shuttled around the Road America campus – from the track to autocross to the off-road course. The NV200 has a small exterior footprint, large cargo capacity, outstanding versatility and excellent fuel efficiency. It also offers America's best commercial van warranty, with a basic limited warranty coverage of five years/100,000 miles, whichever comes first. The powertrain limited warranty term is also five years/100,000 miles. Great for city driving with its compact exterior, the Nissan NV Taxi is nimble enough to easily maneuver tight city streets. Features include built-in navigation, intercom and Bluetooth to better assist the driver. Castro is confident Nissan will continue to propel itself forward in the LCV segment due to four main differentiators: a dedicated team, quality product, best warranty and a robust dealer network. MAMA members should save the date for the next monthly meeting, with Honda, on Tues., Aug. 8 at the Chicago Automobile Trade Association headquarters in Oakbrook Terrace, Illinois.